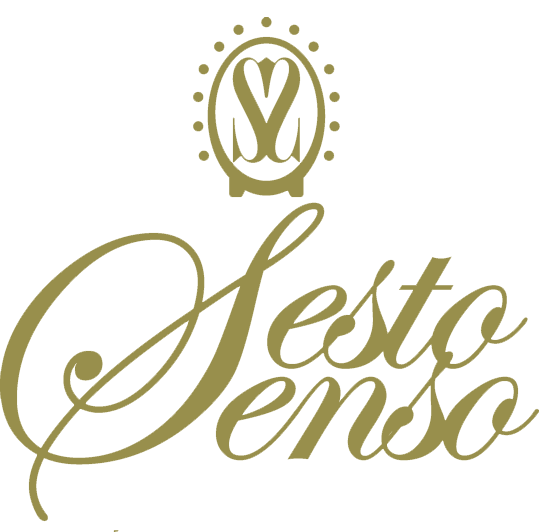 Sesto Senso is the result of a long maturation process obtained from the original grape juice, (Lambrusco and Ancelotta grapes) naturally aged with care in oak, acacia, wood barrels. Its thickness and natural fruity taste comes from there. 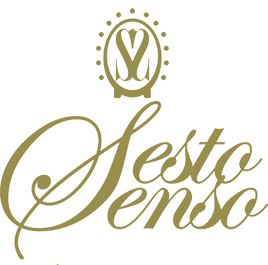 Dense and bitter taste, with developed acetic acid, Sesto Senso Fusion is suggested for the main dishes (seafood served raw or grilled, fried, raw and smoked meat, ravioli and risotto, fresh fruit and ice cream, or simply as digestive liquor at the end of a meal). 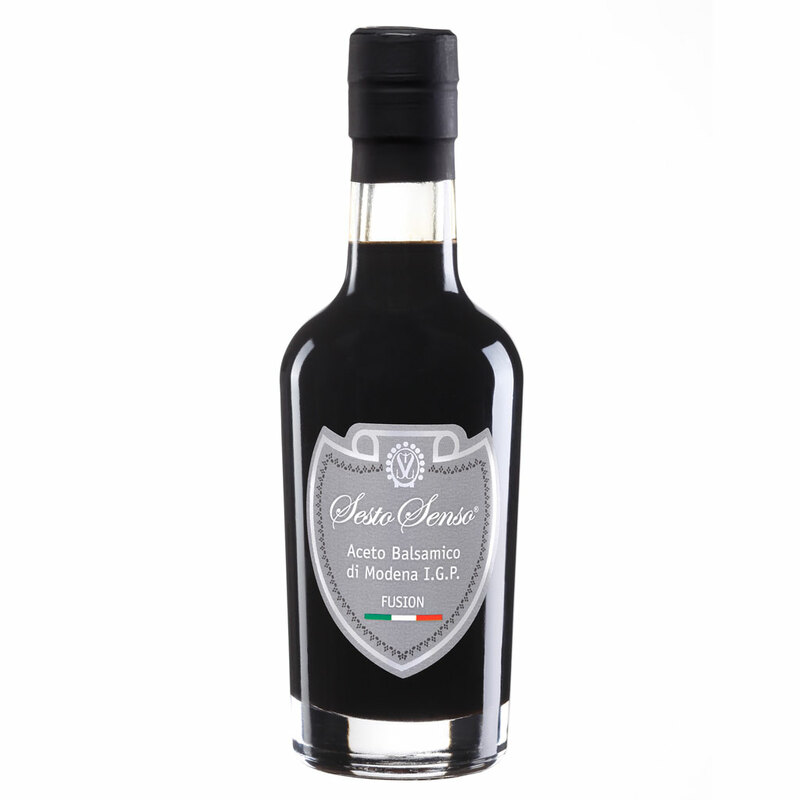 Thick and brown amber, intense aroma, pleasant and sweet and sour, with fruity and wood notes. Harmonious taste, round, balanced and persistent. Cooked grape must, wine vinegar.